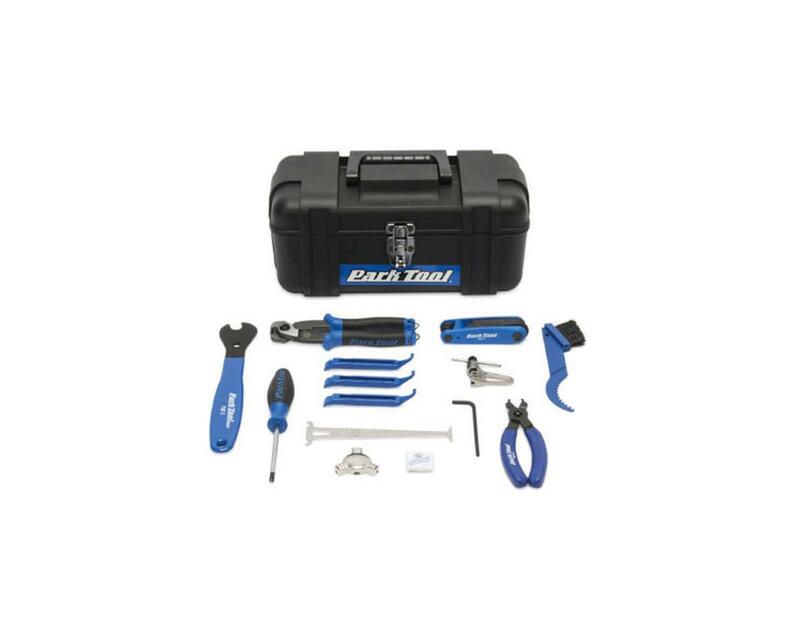 If you're a home mechanic looking for a great start to building up a collection of quality tools, look no further than the Park Tool SK-3 Home Mechanic Starter Kit. This assortment of tools is perfect for performing basic repairs, adjustments, maintenance, and cleaning of your bike. Included are more than 15 rock-solid tools as well as a Park Tool toolbox for storage, organization, and easy transport of the tool collection.